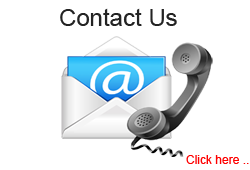 Fleetguard released a new product 5 years ago which is called ES Compleat CC2826 which has followed the trend in the market for the need of extended services. ES Compleat, if properly managed, can be kept in the coolant system for the life of the machine and only has to be checked twice a year. ES Compleat contains silicate which is the best form of protection against aluminium and strong acid buffering, resulting in less corrosive environment and risk of solids drop out. It has excellent radiator solder protection and superior liner pitting protection. This would easily be enough to melt the engine. The heat must be dissipated or the engine can’t operate at its maximum potential. Only one-third of the 2,000 °C is, in fact, converted into mechanical energy. This excess heat production is clearly one reason why correct coolant maintenance is the key to reducing operating costs, minimizing engine downtime and ensuring better reliability and durability from engines and cooling systems alike. The heat must be dissipated or the engine can’t operates at its maximum potential. Only one-third of the 2,000 °C is, in fact, converted into mechanical energy. This excess heat production is clearly one reason why correct coolant maintenance is the key to reducing operating costs, minimizing engine downtime and ensuring better reliability and durability from engines and cooling systems alike. the main focus during most service visits is on air, lube and fuel filtration. The regular and proper maintenance of an engine’s cooling system is usually considered to be of minor importance – potentially an extremely costly mistake. Research has shown that 40% of all engine problems in heavy-duty diesel engines are related, directly or indirectly, to improper cooling system maintenance. Regular cooling system maintenance is vital to keeping an engine running properly. Research has shown that 40% of all engine problems in heavy-duty diesel engines are related, directly or indirectly, to improper cooling system maintenance. Regular cooling system maintenance is vital to keeping an engine running properly. More and more engine manufacturers are using aluminium to reduce weight in cooling systems. But there is a price for weight reduction – aluminium is the most sensitive material in the system, and corrosion is its biggest problem. Not many people are aware of it, but corrosion is not a question of age; corrosion can start to attack an engine as early as 2,000 hours or 400,000 km. Cummins Filtration has developed coolant additives with different inhibitors which create a protective layer on all the metal parts in the cooling system. The company’s major advantage is the combination of chemical research and the close cooperation with its parent company, a major diesel engine manufacturer: Cummins. If you use appropriate Fleetguard® DCA* or ES (longlife) liquid from the very start of an engine’s life, you can prevent oxidation. If you start to use DCA at a later stage, you can at least stop the corrosion from getting any worse. The pistons in your engine move up and down about 2,000 times a minute. While they move vertically, the crankshaft is performing a completely different movement by rotating horizontally. These contradictory movements will cause significant vibration in your engine’s liners. Although the outer wall of the liner is surrounded by cooling fluid, the fluid’s inertia creates tiny vacuum pockets, causing bubbles of vapour form on the liner wall. When the liner vibrates back through the vacuum pockets, these bubbles implode under an enormous pressure of 1,000 bars and take small chunks out of the liner. Coolant consists of 48% good-quality water, 48% glycol and 4% coolant additives. Tap water is always slightly hard because of minerals such as calcium, magnesium, etc., which cause scale to develop. The detrimental effect of scale takes place in the hot spots of your engine, just as it does when you boil water in your kettle. In the engine, these hot spots are the liners and the cylinder heads. When you consider a 1 mm layer of scale has the same insulating effect as 75 mm of cast iron, it becomes obvious that scale is a major insulator. Heat cannot easily dissipate from your engine’s combustion chamber. The consequences are worn piston rings, higher oil consumption and, in the worst cases, total engine failure. Fleetguard® DCAs contain an intelligent polymer system that ‘wraps up’ the scale particles so that they can’t attach themselves to the liner wall. Corrosion in an engine usually occurs when the pH value of your cooling fluid is lower than 7. Your cooling fluid becomes acidic due to the degradation of antifreeze and sulphates entering the cooling system. That leads to general corrosion of your liners, cylinder blocks and heads, and in the waterways and hoses. A very high pH value is also bad news as you risk damage to your gaskets and to the softer metal components. Therefore, the pH value in an ideal cooling system always needs to be between 8 and 10. To achieve this, you need buffers in your cooling fluid to neutralise the formation of acids or alkalis. The various buffers in Fleetguard® cooling system products, including borate in DCA2 and phosphate in DCA4, ensure that your cooling system fluid maintains the proper acidity. Fully formulated coolants, such as ES Compleat EG, eliminate the need for SCA pre-charging and provide the greatest opportunity for successful cooling system maintenance. They are designed to last until engine rebuilt. They also meet the ASTM low silicate recommendations and are universal for use in all heavy-duty diesel and automotive engines. Fleetguard® DCA2 coolant additive and its fully formulated coolant, Fleetcool, have been protecting diesel engines since 1972. DCA2 uses nitrite for liner pitting protection and has a borate buffering system. … But Cummins Filtration Has Even More Products That Can Solve Your Problems. DCA4 and its fully formulated coolant equivalent, Compleat EG, were first introduced in 1984 on all Cummins diesel engines, where it is still used today. DCA4 is less toxic than typical nitrite/borate chemistry and provides improved protection against solder and aluminium corrosion, liner pitting and is more tolerant to SCA under- or overtreatment. In today’s competitive environment, reducing maintenance costs by extending coolant life meets critical fleet needs. To meet these needs, Cummins Filtration has launched an extended service coolant, Fleetguard® ES Compleat. For use in extended service long life coolant maintenance programs, simply fill the cooling system with ES Compleat and once a year (250,000 km or 4,000 running hours) service the system with Fleetguard ES Slow Release Filters or ES Extender Liquid Booster. 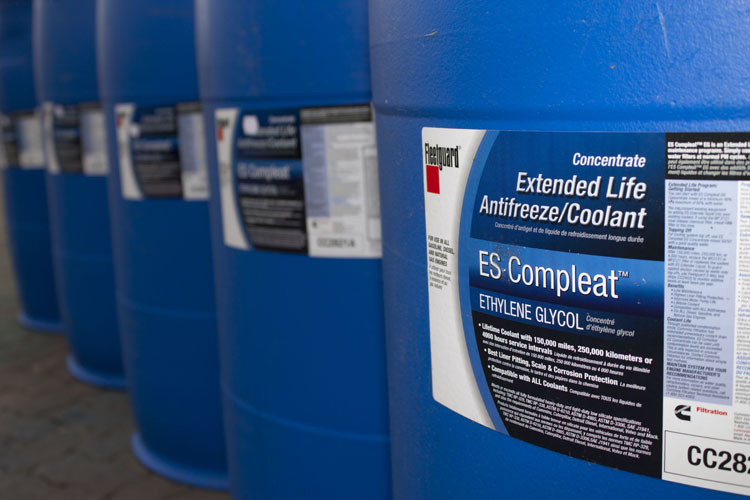 For use in standard coolant maintenance programs, simply use ES Compleat in combination with DCA4 mentioned above. In addition to additives, coolants and cleaners, Cummins Filtration offers a wide range of Fleetguard water filters. Many different sources have shown a direct beneficial relationship between filtering contaminate from the coolant and reducing wear, corrosion, pitting and plugging. One of the most significant studies observed 11,000 trucks, half of which used water filters. The trucks with water filters experienced two thirds fewer failures from leaking water pump seals compared to the trucks without filters. This data also indicates a close correlation between filtration and a reduction in scale formation, which helps the engine to maintain effective heat transfer for optimum performance. Strips provide a simple and effective means of checking the coolant system. It is easy to use the 3-Way DIP and READ test strips. Simply take a sample of the coolant and dip the 3-Way Test Strip. Within 45-75 seconds, read the Freeze Point and Molybdate/Nitrite levels to obtain SCA units. Record the readings and continue coolant maintenance practices according to OEM recommendations. One strip does it all! NO fuss, NO coolant dilution, NO chemical mixing. determine the quality of their coolants; Fleetguard has developed revolutionary Quik-Chek Coolant Quality Test Strips. In a matter of minutes the pH, Sulphate and Chloride levels in a coolant can be determined. If results fall within acceptable limits, the coolant can be used until the next service interval with confidence. by causing additive dropout, scale build-up and metal surface corrosion. Fleetguard’s Water-Chek H2O Test Strips are the easy, effective way to determine if your coolant make-up water meets OEM, TMC and ASTM specifications. Simply dip the strip in a sample of the make-up water. In a matter of minutes, you will know the pH, Chloride and Hardness levels and be able to determine if your water meets specifications for use in heavy duty cooling systems. 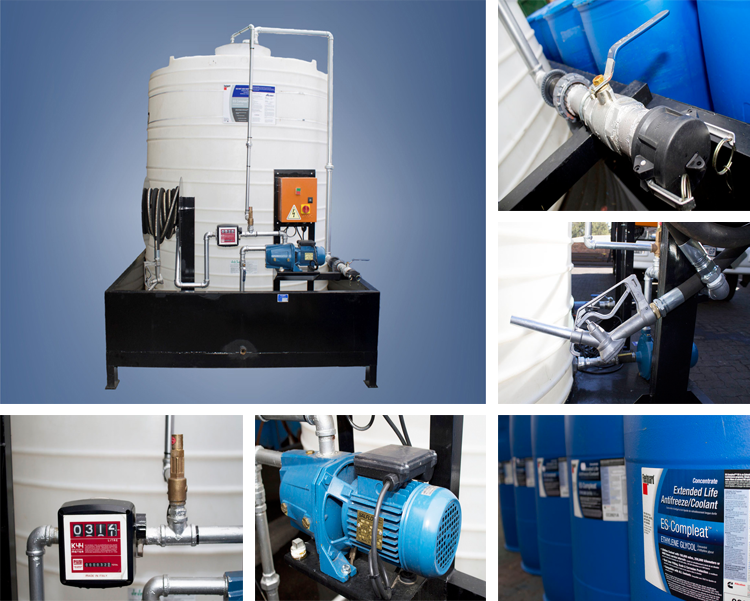 Note: If any of the readings for hardness, pH or chloride fail, purchase a fully formulated heavy duty precharged coolant meeting ASTM 6210 EG or ASTM 6211 PG or purchase distilled or deionised water to make premixed 50/50 coolant. The Fleetguard Refractometer is the fast, easy way to determine the freeze point protection in both Ethylene Glycol and Propylene Glycol coolants. It is more accurate than test strips or fl oat-type hydrometers and is as easy as 1, 2, 3. Place a drop of coolant on the Refractometer window and shut the lid. Look through the eyepiece and focus. Record the freeze point protection for either Ethylene Glycol or Propylene Glycol coolants. The Fleetguard Refractometer (CC2806) comes with its own durable storage case and takes the guesswork out of freeze point measurement.